Per Email immer auf dem laufenden bleiben, hier den Newsletter abonnieren. Evergreen, Freshfonts, FC Autobahn or Tapewriter – these are the names of experimental fonts of the Dutch design company Autobahn, which has been founded in 2005 by Maarten Dullemeijer, Rob Stolte and Jeroen Breen after graduating from the Hogeschool voor de Kunsten, Utrecht. Since then, they strive for unusual typography and do not shy away from employing unconventional materials like ketchup or toothpaste to accomplish that task. The working process and experimenting reign supreme with this trio, who received the inspiration for their company’s name from the cult film The Big Lebowski. Phil Baines is graphic designer, professor of typography, curator and lecturer at the famous Central Saint Martin’s College of Art and Design in London. Following his initial motivation to take the cloth, he decided to take up a different profession and studied design at St. Martin’s School of Art and at the Royal College of Art. He developed and designed the fonts FF You Can Read Me and Vere Dignum for Nevil Brody’s FUSE PROJECT. In Baine’s book Penguin by Design: A Cover Story, he analysed the development of the cover designs of the famous British Penguin Books. 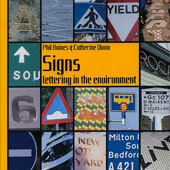 He developed a typographical guided tour through London called Public Lettering Walk and published – together with Catherine Dixon - an accompanying book called Signs: Lettering in the Environment. Jos Buivenga is a different kind of typographer. In 1984 he began his studies at the Academy of Arts Arnhem. He developed his first font "Delicious" in 1994, which has been published only two years later. Ever since, he has been captivated by designing fonts. His primary occupation is art director at an advertising agency. 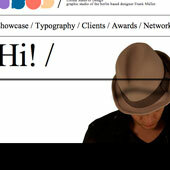 Besides that he still designs fonts zealously and puts them on his webpage myfonts.com for free downloading. This revolutionised the trading and selling of fonts. Prior to this, hardly any fonts, designed so precisely, were offered for free on the internet. His most famous fonts are Anivers, Delicious and Museo. David Crow is head of the design department of Manchester Metropolitan University. He completed his master degree in communications design at MMU in the early 1990s and specialised in unofficial visual language systems. He gained his practical knowledge in London working on various projects, among others books, brochures and packaging. As senior designer at Island Records, he was responsible for art direction and production and he was in charge of the advertising campaigns of many an artist. When he was a freelancer, some of his clients included Sony UK and USA, Virgin Records and the Royal Shakespeare Company, to name but a few. In 1993, he became professor for graphic design at the University of Salford, where he participated in the conception of a new and innovative course. This has been a decisive mark in his career. He was appointed Head of Graphic Arts at Liverpool John Moores University in 1995. Professor Crow’s field of study is experimental typography. He has worked on many different projects with the focus on animation, CD-ROMs, interactive and non-linear works. He designed exhibitions in Korea, Israel, USA and Europe. His first book, Visible Signs (Zeichen), has been published in 2003 (Germany: 2005), which is an introduction to semiotics for graphic designers and is primarily directed at students. His work has been published in a great variety of graphic design publications, for example the last issues of The Typographic Experiment by Teal Triggs and No More Rules – Graphic Design and Postmodernism by Rick Poynor. Siggi Eggertsson was born in Akureyri, a small town on the north coast of Iceland. He first showed interested in Graphic Design at the age of 14 when he became involved in local design programs creating posters for jazz concerts and art exhibitions. When he turned 18, his vision started to expand beyond his remote home, so he applied to the Iceland Academy of Arts in Reykjavik to study Graphic Design. During his first year he met the typographer Atli Hilmarsson and they began working together on design briefs. Here Siggi Eggertsson developed not only as a typographer and designer but also, increasingly, as an Illustrator and image maker in his own right. In 2005 he moved to New York to work at the Karlssonwilker design studio followed by a move to Berlin to study in the Kunsthochschule Berlin-Weissensee. Early in 2007 Siggi moved to London to become part of the Big Active family and contribute to publications like Dazed and Confused, The New York Times and Arkitip plus commercial work with H&M, Stussy, Nike and various music projects. Sven Ehmann, born 1973 in Berlin, trained as a photographer and studied American Studies, Film and Journalism at the Freie Universität Berlin. He has worked as developer for new mediums at agencies like Pixelpark and Metadesign. At the moment, he is creative director, developer and publisher and works on publications (Gestalten Verlag and onlab) and exhibitions (i. a. Fragiles, in co-operation with the Gestalten Verlag, the BASF visitor centre with flying saucer, sneakers etc). Additionally, he runs the independent publishing company etc. publications. 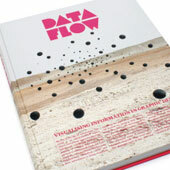 Selection of projects: Since 2001, he is editor of books like Dataflow (2008), Tangible (2009), Tactile (2007), CrEATe (2008) and Let’s Play (2008) – available at Gestalten Verlag. 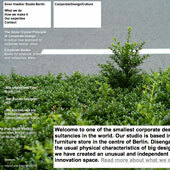 Conception and creative direction of the re-design of the Italian architectural magazine domus (in co-operation with onlab); conception of the re-design of the webpage and magazine of Kulturstiftung der Länder (in co-operation with Stan Hema); conception of the BASF visitor center (in co-operation with flying saucer); fellow curator of the exhibition Fragiles in Miami, Kortrijk and Kuwait (in co-operation with Gestalten Verlag); editor of various publications (i. a. Local Studies – Joel Tettamanti, Peace etc., Genoa etc., Swiss etc.) in his own Edition etc publications. He also holds lectures and workshops on media conceptions, visual culture and storytelling on a regular basis. Falk Haberkorn works and lives in Leipzig. In 1993, he started studying Russian and Czech Cultural Studies at the Humboldt-Universität in Berlin, yet in 1995 he devotes himself to photography at the Hochschule für Grafik und Buchkunst Leipzig. He graduated 2002 under Professor Timm Rautert and completed his master class in 2006. Falk Haberkorn participated in many different exhibitions at german and international galleries. 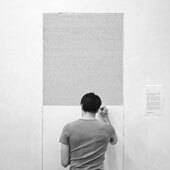 He also dedicates himself to the barriers and frontiers between image and language. His work became more and more visual over the years. In his work, Martin Majoor combines the traditions of classic handwriting skills with the ever changing developments of today’s technology. He is a true pioneer of digital font development. His very successful font Scala was one of the first fonts for Mac which had both small capitals and ligatures. This font, which was originally designed for the Muziekcentrum Vredenburg, was published under the name FF Scala 1991 and was one of the first text fonts at the newly founded FontFont-Library. He also lead the way when in 2004, FontShop International placed his FF Nexus on the market as first OpenType-Font. Besides the designing and developing of fonts and books, Martin Majoor teaches typography in Warsaw. 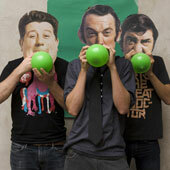 Rob Meek and Frank Müller developed MeekFM for TypoBerlin in 2007 as a team. Originally, Rob Meek started the project as M.E.E.K. typographic synthesizer in 2000. MeekFM is a symbiosis of font and sound. The designer or musician is able to produce letters aurally and to create sounds by varying flow or font. 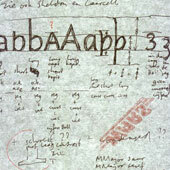 Thus, letters become instruments and fonts become audible. Rob Meek is a designer and software engineer from Berlin. 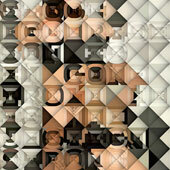 His most famous projects include the online program FontStruct and the typo-synthesizer MeekFM. FontStruct allows designers to create fonts in a grid system via predetermined geometrical figures and to share them with other users in a community. That way, designers can create fonts ranging from pixel font to rather complex headline fonts in a relatively easy way without having to preoccupy oneself with it intensively beforehand. Berlin-born Frank Müller is designer, musician and typographer and works primarily for the Interactive Media Branche. Since 2007 and following employments at aperto and die argonauten, he works as a freelancer for Adidas, Sony, Coca-Cola and Mozilla to name but a few. He launched a network for freelancers called EAT (Everybody All Together) and refined MeekFM together with Rob Meek. About himself, he says he loves experimenting. Fonts and typography is language on paper. Typeradio is speaking via fonts. Typeradio is a MicroFM radio station, a MP3 radio stream, a podcast station and a show. It was founded in 2004 by Donald Beekman (DBXL), Liza Enebeis (LoveLiza) & Underware (Akiem Helmling, Bas Jacobs, Sami Korttemaki). Donald Beekman studied graphic and audiovisual design at Rietveld Academy, Amsterdam. In 1984 he founded [DBXL], a studio for music and graphic design. Most of Beekman’s fonts derive from logos or illustrations for his clients and are available at Fontshop, die Gestalten, Cape-Arcona and Vette Letters. Liza Enebeis (aka LoveLiza) after graduating in 1996, from the Royal College of Art in London, joined the design studio Pentagram. Seven years later as an alternative design view Liza moved to the Netherlands. Since 2004 she became one of the founding members and co-host of Typeradio, a radio and podcast station on type and design. In 2007 she (LoveLiza) initiated the blog Letters To LoveLiza giving advise to desperate designers from all round the world. And as of 2008 Liza has joined Studio Dumbar. Together, they attend design events all over the world and meet and interview miscellaneous designers. They do not solely talk about fonts, and designs – they indulge in escapades: "Do you cheat?" – "How many illegal fonts do you own?" – "Are you famous?" Sven Voelker, born in Coesfeld and now living in Berlin, is professor and head of the department of communications design at the Staatliche Hochschule für Gestaltung Karlsruhe. It is his ultimate ambition to reach millions of people. His decision to compete for a corporate design contract with Suzuki Europe – as an one-man business and that at the age of 30 – already points in the right direction. Presently, he is working on the corporate image of Suzuki International. The topic of visualising data fascinates Barbara Hahn and Christine Zimmermann since university. Their dissertation Von B und C has been published in 2008. In this work, they collected various data concerning their own operational procedures and visualised it in an innovative and exciting way. Lacklustre bar charts are past history now as B und C find new and fitting images to convey information. Resulting from the success of their collaboration they decided to found their own company in 2008. 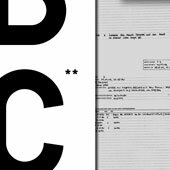 Moreover, B und C work as creative-scientific assistants at the Hochschule der Künste, Bern, since 2007. There, they work on research projects in the field of knowledge visualisation.